The partnership with US space body NASA will help Veecon Rok obtain the much-needed communications technology which includes wifi and mobile handsets. Veecon Rok unveils internet service plan for 25 cities across India. New Delhi: In partnership with state-owned firm BSNL, Telecom company Veecon Rok Pvt. Ltd., has announced to roll out the City Wide Wi-Fi Network in 25 cities across India. The investment for the landmark initiative amounts to Rs 36,000 crore for a period of five years. The plan is to provide internet access to every citizen and is quite in sync with the Indian Government’s digitisation efforts. 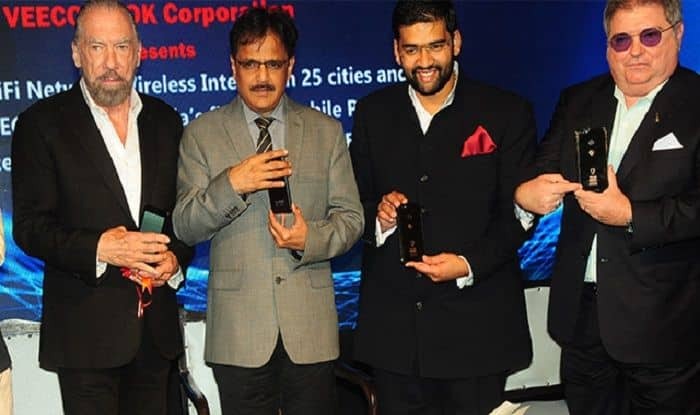 During the launch of the City Wide Wi-Fi Network on Thursday, BSNL MD, Anupam Shrivastava said, “In the wake of arguably cutting edge technology and government initiatives, we are also pleased to associate with an emerging player like VEECON ROKiT and roll out this new range of mobile handsets”. Through this project, internet facility will be made available across a major portion of the country in cities including Vijayawada, Navi Mumbai, Bangalore, Chennai, Hyderabad, Kolkata, Varanasi, Ghazipur, Panaji, Pune, Lucknow, Ahmedabad, Bhopal, Jaipur, Patna, Cochin, Guwahati, Tirupati, Shimla, Chandigarh, Noida, Gurugram, Dehradun, Indore and Agra. “The ROKiT range of phones are going to revolutionise the smartphone business in the country as these are backed by the rich technological prowess of NASA Engineering. The unique feature of the 3D mobile phone is you don’t need to wear 3D eyeglasses to use it,” commented Gaurav Kumar Srivastava, the chairman of Veecon Rok during the launch ceremony. The company has also announced a new line of Veecon ROKiT with five versions. The ROKiT One and ROKiT F-One are classic devices with the special WiFi calling feature. The ROKiT IO Light is a lightweight smartphone that comes with an excellent processing power. ROKiT IO 3D and ROKiT IO Pro 3D are the first-ever glasses-free 3D mobile phone in India. Gaurav Kumar added, “The City Wide Wi-Fi Network of 25 cities is in sync with our smart city Initiative and would be taken ahead with our Superior technology to drive this. The amalgamation of BSNL’s reach across the country and our cutting-edge technology is certain to be a game changer in the business of running a city. For this project, we plan to invest $5 bn in the next three to five years”. The sale of the ROKiT mobile series will happen at the BSNL outlets during the first quarter of 2019. The mobile phones will come with BSNL SIM card. Veecon Rok corporation is a joint venture between Veecon group from India and US-based Rok corporation. BSNLCity Wide Wi-Fi NetworkIndiaTelecom company Veecon Rok Pvt. Ltd.